See what “Nils Olsson – Copenhagen” sees. The eye decides calmly with a focus on value, consistency and nature. “Nils Olsson – Copenhagen” feels the icy wind of the Baltic Sea, looks toward the inimitable Öresund Bridge. He has that great feeling of having arrived, rather than just experiencing a pocket of happiness. A cool head for warm interior trends. Life and living in the present, thankful for what one has and in harmony with things and people. Homely comfort to share. 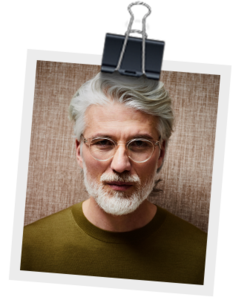 The typical character “Nils Olsson” represents the trends from the metropolis of Copenhagen. “Nils Olsson” invites you to Copenhagen and presents his Scandinavian-style home to you. His modest home is on the edge of the city and is a little haven of peace. Earthy tones and wood finishes decorate the walls in various graphic patterns. He attaches particular importance to a down-to-earth quality, so his décor is rather minimalistic. He loves to combine earthy tones with modern shapes and designs. The most important thing you should know about Copenhagen is that this is a place where people approach everything calmly. That is because here everything follows the “hygge principle", which means to create a cosy “at home” feel. Imagine a quiet evening by candlelight with comfy socks, hot tea and good friends. The warm feeling that you get from such a thought is called “hygge”, and it is the Scandinavian philosophy of life. Of course, everything depends on the right interior. But more about this later! Geometric shapes in natural tones. 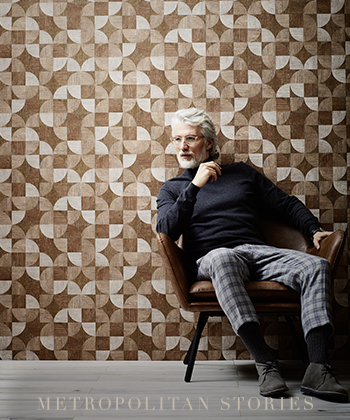 Be inspired by “Nils Olsson’s” wallpapers with Scandinavian-inspired motifs. Tastefully and harmoniously showcased, the colour palette ranges from a light beige through dark brown to a subtle grey. 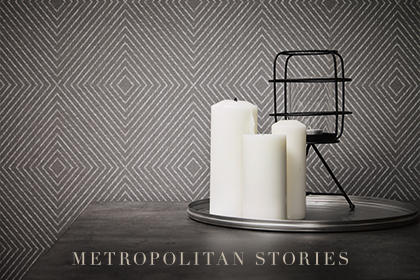 With their light-wood look, these wallpapers create an expressive effect in the room. straightforwardness in different colour finishes.